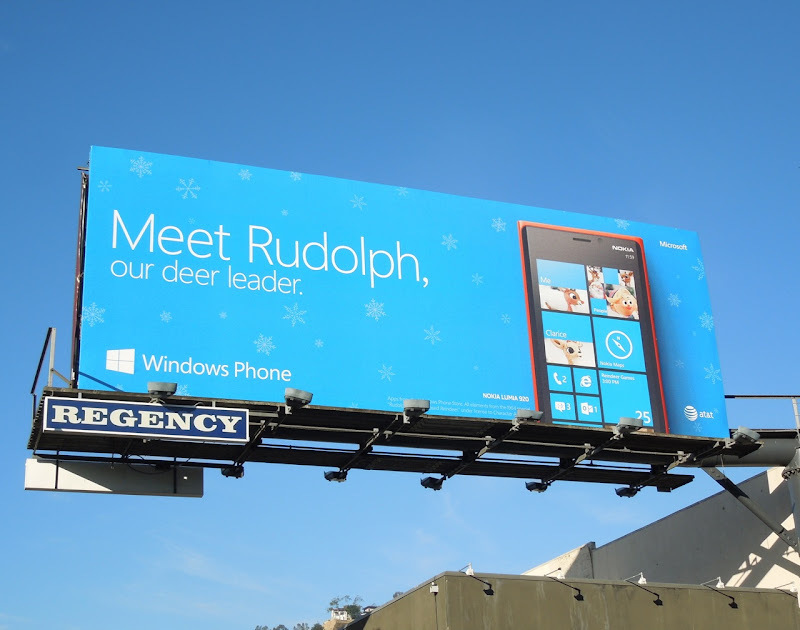 With Microsoft, Samsung, Apple and more technology and telecommunications companies spending oodles of advertising dollars in this run up to Christmas, it's hard not to feel overloaded with information and have a complete technological meltdown deciding what's the best smartphone, tablet or computer for you. 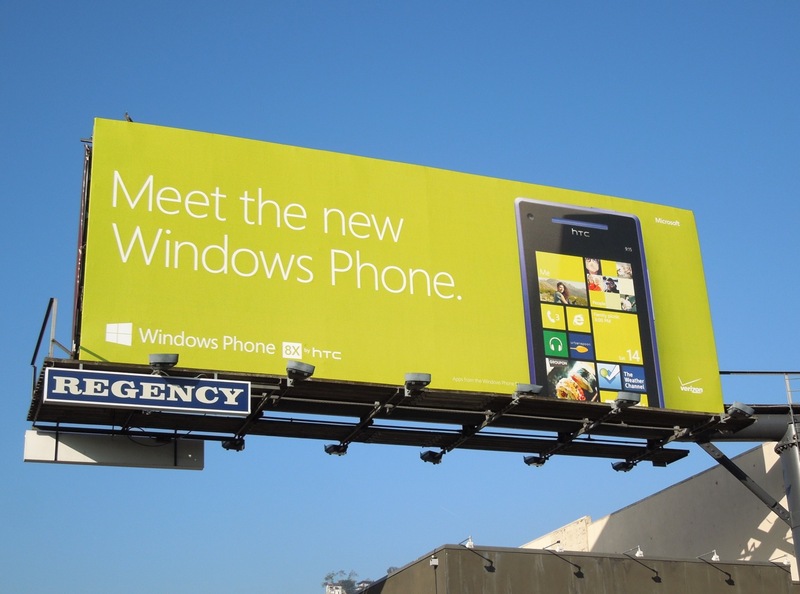 However at least one little mystery is solved. 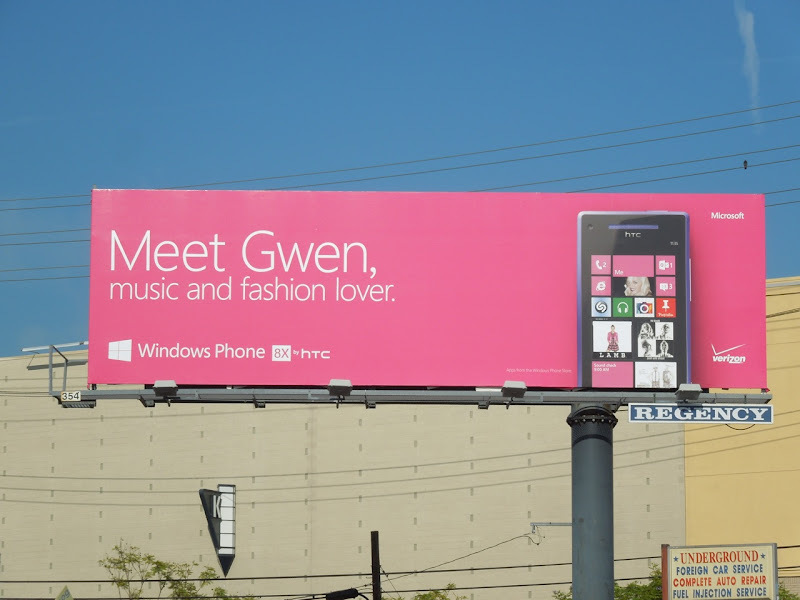 Daily Billboard recently criticized Microsoft's Surface tablet billboards for being a tad bland and underwhelming with their design choice, but maybe these creatives for the new Windows Phone and Windows 8 are the reason why. 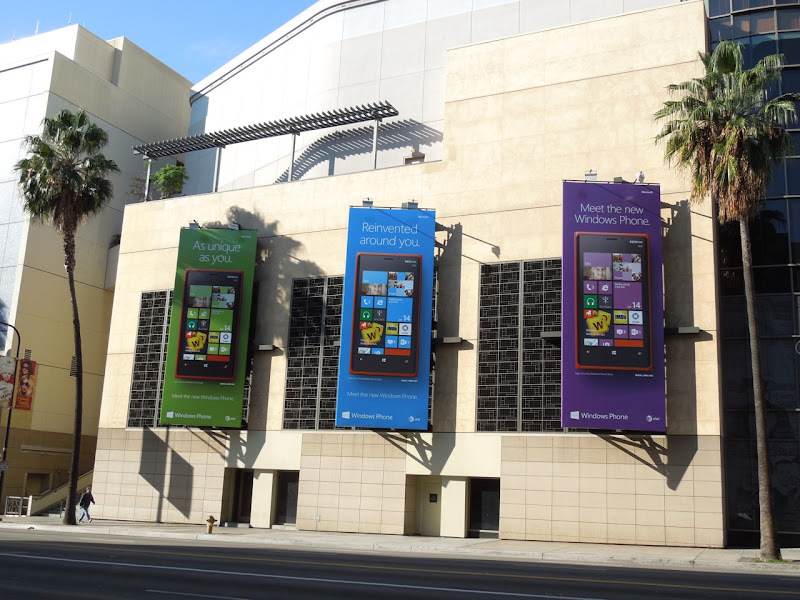 Microsoft may still unimaginatively rely too much on product shots, but this is clearly where all the vibrant background colour went and these ads certainly do pop out from the skies around L.A. 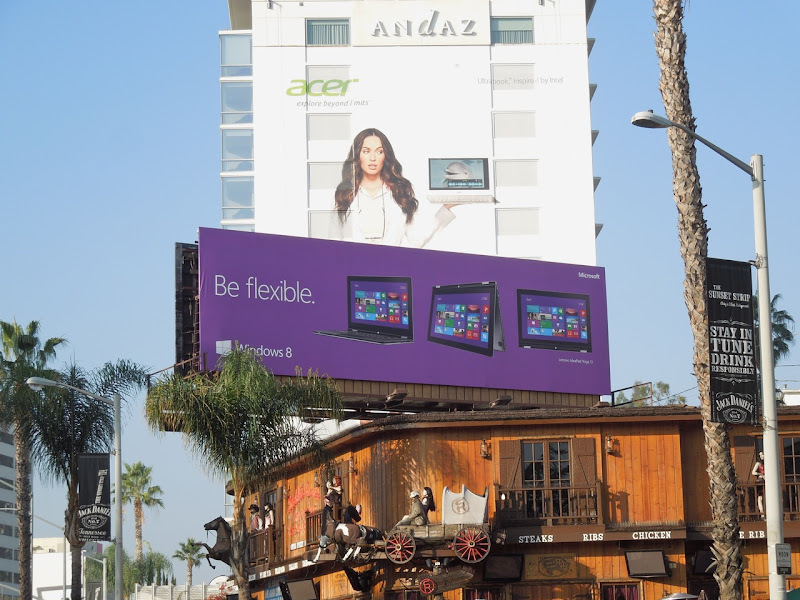 These bold billboards for Windows 8 were spied along the Sunset Strip on November 22, 2012. 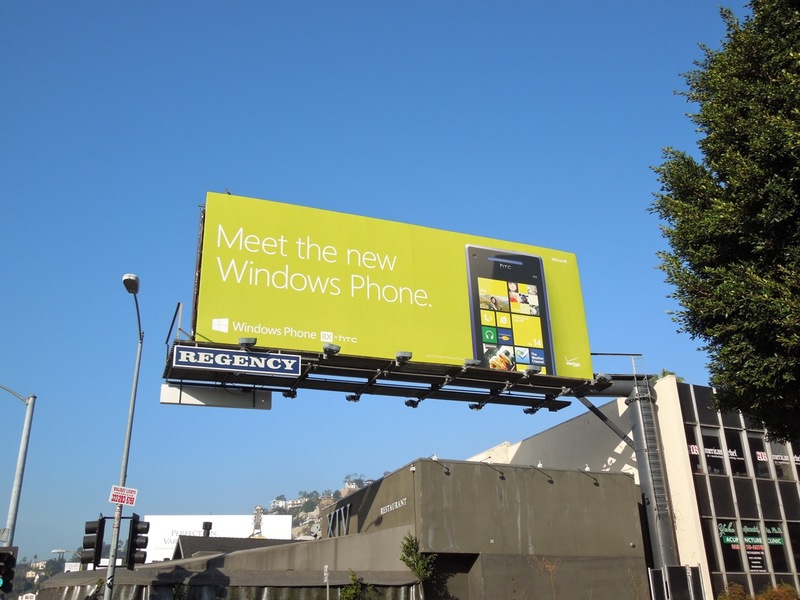 Meanwhile the bright blue and green billboards for the new Windows Phone were also spotted along Sunset Boulevard, plus La Brea Avenue and Beverly Boulevard around the same date. 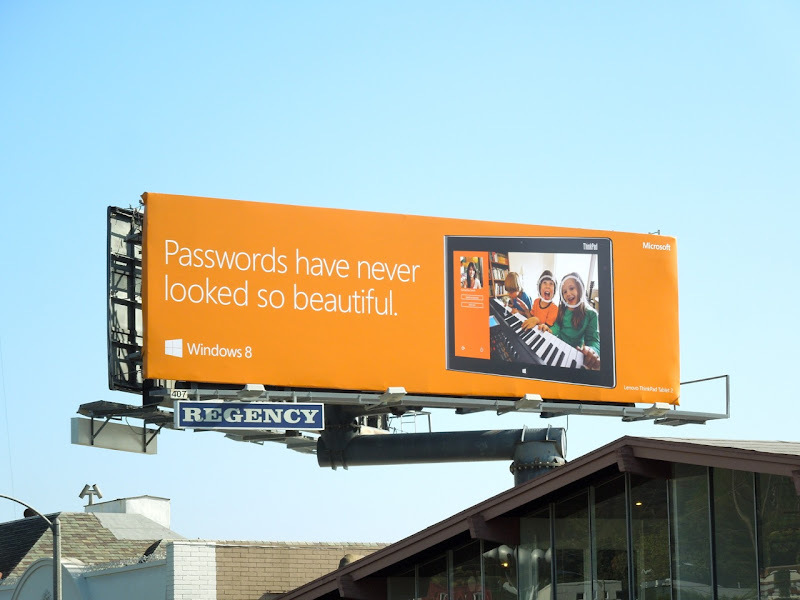 Never mind what Daily Billboard thinks though, what's your opinion of these new ads? 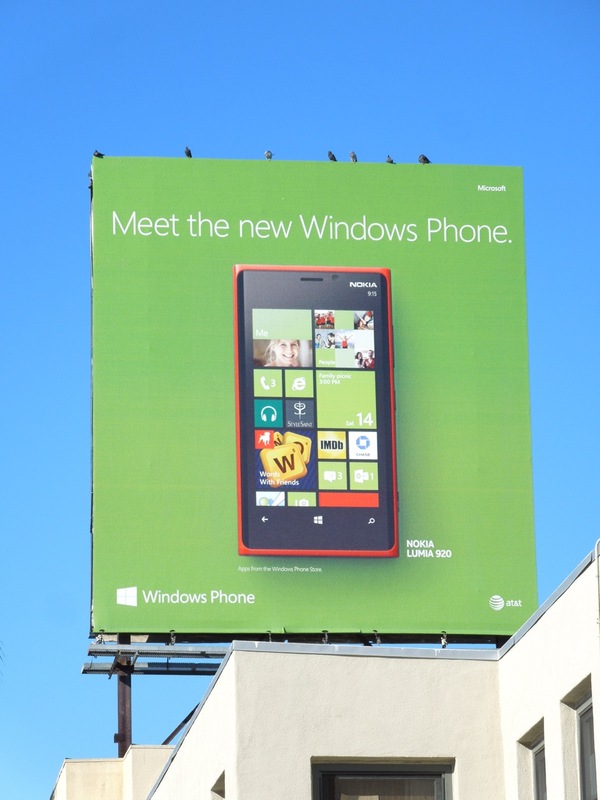 Or do you prefer the design treatment of Apple's iPad billboards or Samsung Galaxy's smartphone billboards. 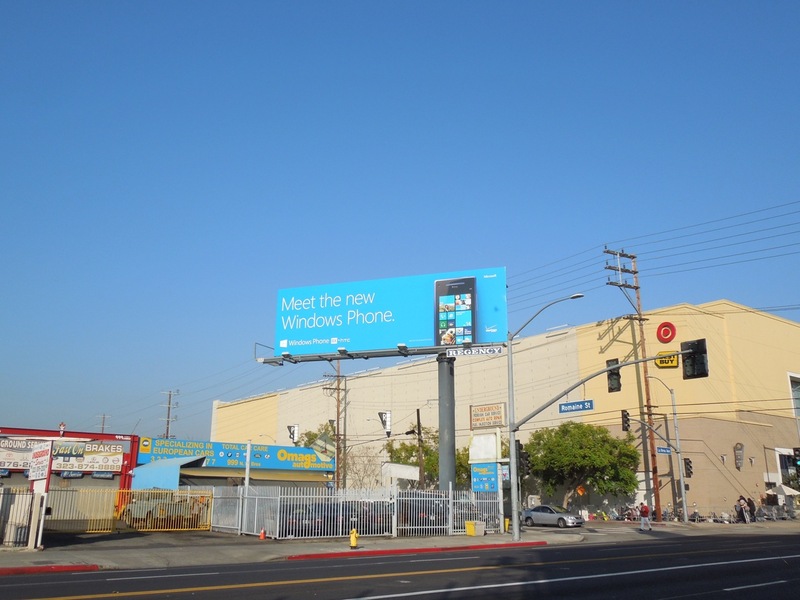 Daily Billboard always loves to hear your feedback, it is the Information Age after all. 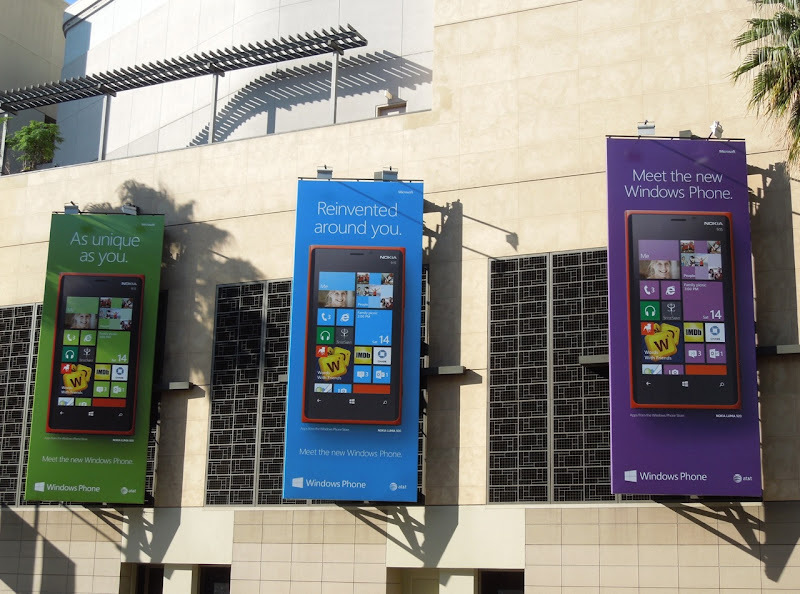 UPDATED: Here's another trio of colourful billboards for the new smartphone spotted at Hollywood & Highland on December 5, 2012. 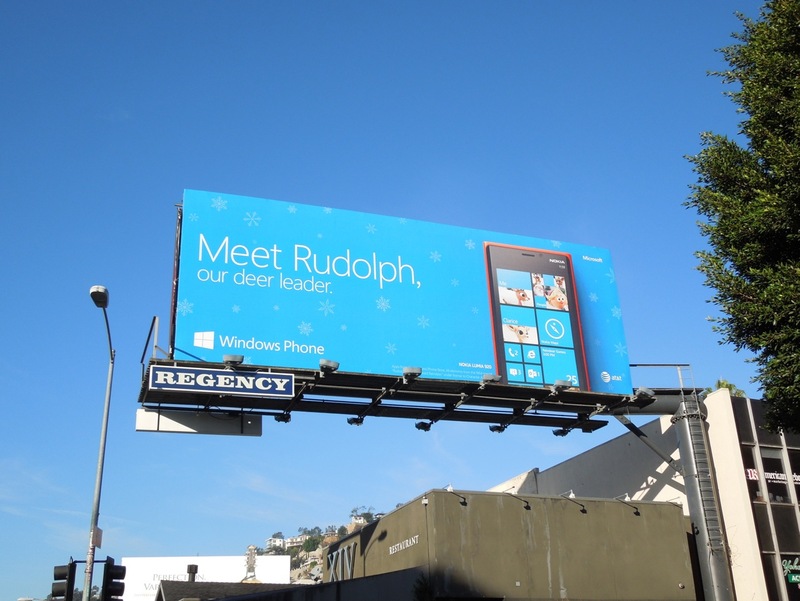 Plus here's two more billboards from what seems like a a second phase of advertising for the Windows Phone, including a festive 'Meet Rudolph' and celebrity themed Gwen Stefani creative. 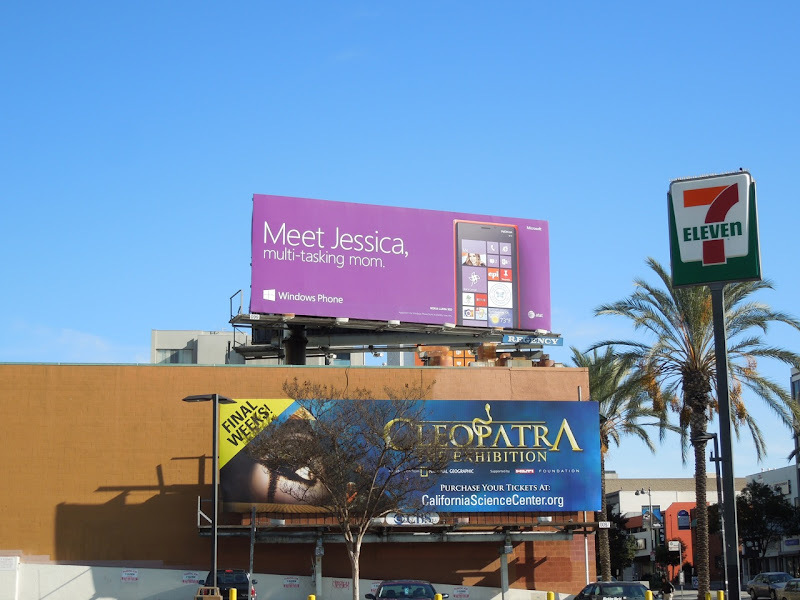 The blue version was spied along Sunset Boulevard at Crescent Heights Boulevard, whilst the hot pink creative was snapped along La Brea Avenue at Romaine Street on December 5, 2012. 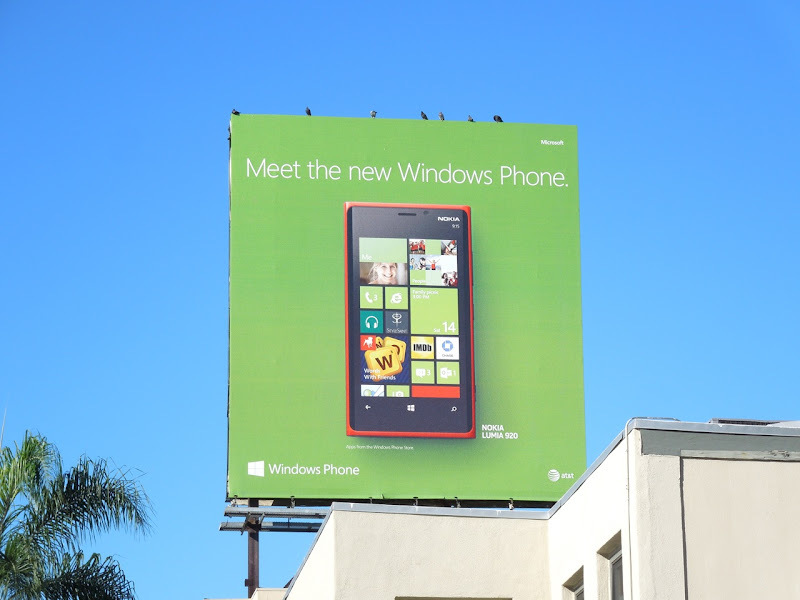 Daily Billboard is sure more lifestyle creatives will follow, watch this space. 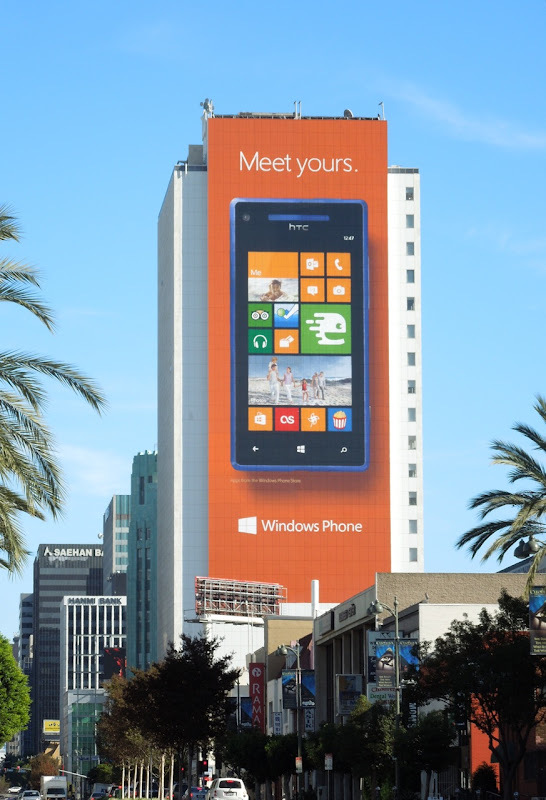 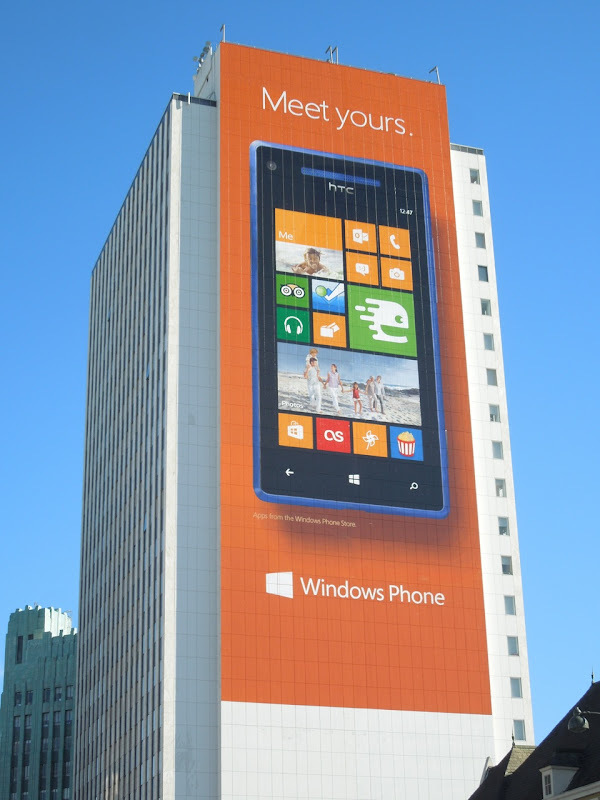 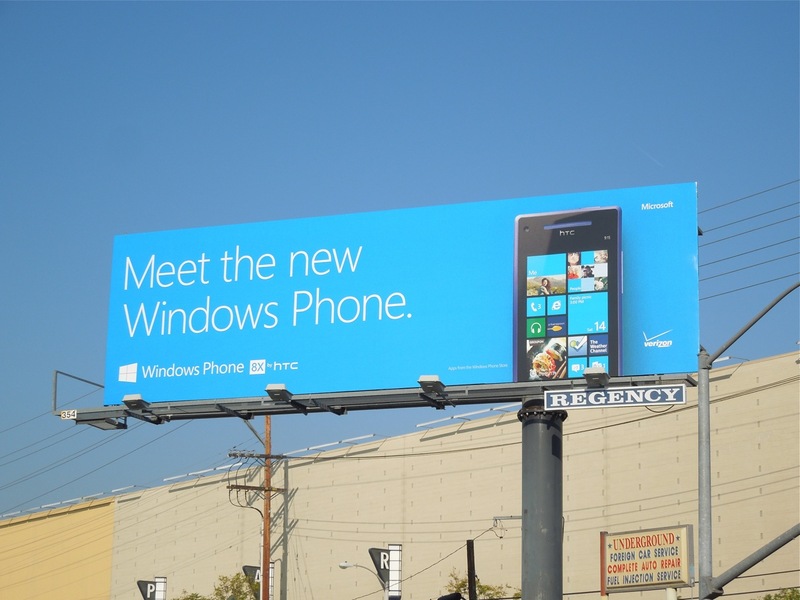 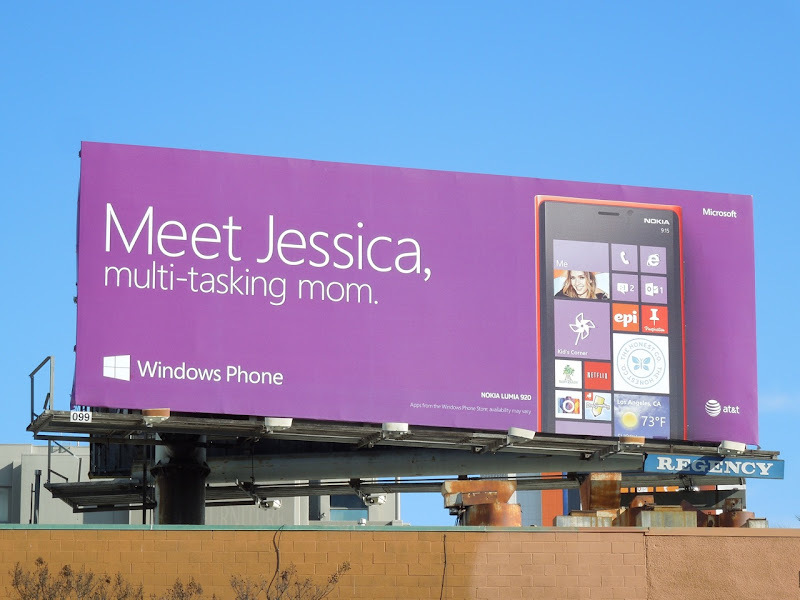 UPDATED: Just as expected, here are more creatives for the roll-out of the newWindows Phone operating system, including this spectacular giant-sized ad snapped along Wilshire Boulevard on December 15, 2012. 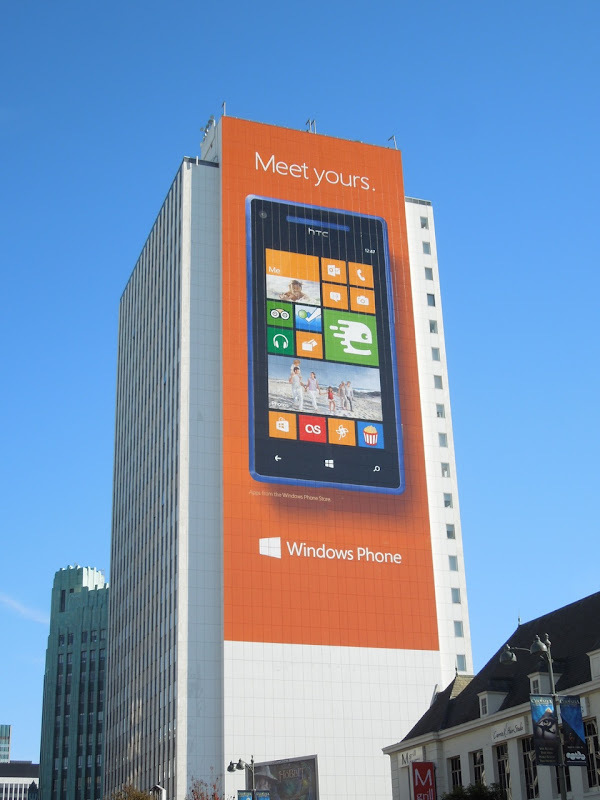 This impressive orange wall wrap certainly stands out from afar, whilst these other creatives also spotted in the vicinity along Wilshire Boulevard grab your attention with their bold and vibrant colours. 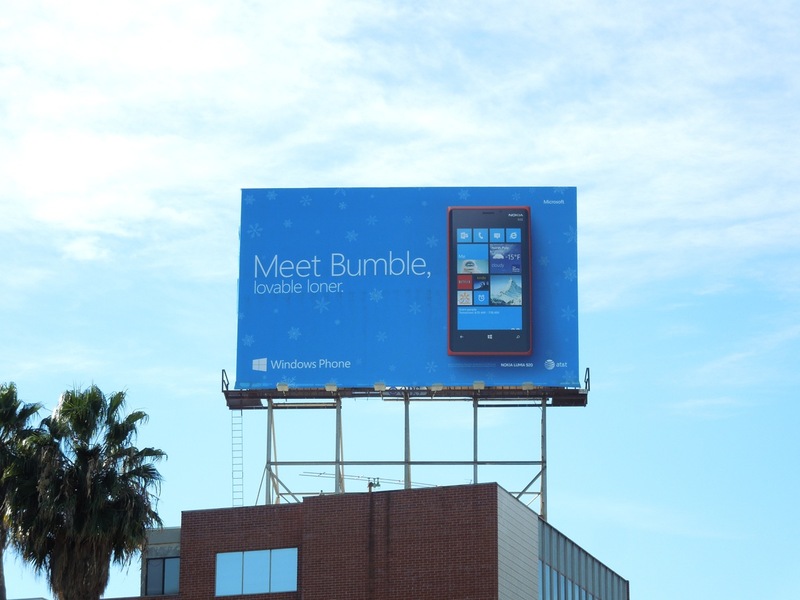 Plus this 'Meet Bumble' version continues that festive Holidays theme.